CONGRATULATIONS, UVa Class of 2014! Woo! Last week was an exciting time for the high school seniors who received their acceptance letters from, what I personally consider to be, the greatest university in the country! If you are one of those lucky individuals, I hope that you are just as excited as I am excited for you. Not only am I absolutely thrilled for you, I am completely jealous that you have the whole spring and summer to anticipate the best years of your life – because I am about to graduate and I know that I will forever be reminiscing on my incredible experience here at the University. I would much prefer anticipation to nostalgia… but nevertheless, I am very happy for the Class of 2014. I would really encourage all of you who are making your college decision to come and spend a day here at The University! Don’t hesitate to shoot any of us bloggers any questions you may have as well. Hope to see you on the lawn soon! One of the coolest things about U.Va., is the ability for students to find clubs and organizations that have to do with things they are interested in. There are so many opportunities; every fall there is a massive Student Activities Fair on the lawn where you can sign up for various clubs and organizations. But let’s say that you don’t see a club for something you really enjoy? Well you can fix that. I was rather disappointed after I browsed through the rows of posters at the activities fair and found no clubs that really dealt with cars. Being an avid automotive enthusiast I would have joined a car club in a heartbeat. I wasn’t didn’t worry much about it at the time but later in the year saw an opportunity to help found a car club and jumped at it. 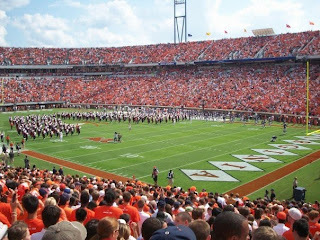 U.Va. has an entire website, @uva.com that is dedicated to school clubs. It allows students to make their own clubs, pending faculty approval and mange them on a simple easy to use site. I’ll admit that when a fellow hall mate proposed the idea of making our own car club, I didn’t really think it would work or be easy to accomplish. But with the help of the great staff at U.Va., we had our club site up and running with in a week and our looking forward to growing and expanding our club in the coming months. This is just another one of the things I love about U.Va. If you have an idea, let someone know and find a faculty member who will support you, and more than likely you can make your idea into a reality. It's been a huge week for the music scene in Charlottesville, and no matter what your taste in tunes is, there's been something for you! On Tuesday, John Mayer headlined at the John Paul Jones Arena (our basketball arena that doubles as the largest indoor concert venue in Virginia). I heard it was an amazing show, there isn't a bad seat in the house! On Saturday, Taylor Swift graced us with her presence as the "Fearless" tour swung through Charlottesville. Tickets sold out in under ten minutes, but I was one of the lucky ones who was able to snag an awesome seat for the show! The show was incredible, and we learned that her Grandfather is a UVa alumn; perhaps that's the reason that she donned a UVa basketball jersey for one of her final numbers! Tonight, Ben Folds will be playing at the Jefferson Theatre on the downtown mall! It's a smaller venue than John Paul Jones, which will be the perfect setting. This is Ben's 2nd trip to C-ville since I've been here, and hopefully I'll be able to find a ticket in the next few hours so I can see him again! And finally, something to get you excited about the fall, it was announced this week that Lady Gaga will be playing in Charlottesville on September 8th! Get your tickets while you still can! 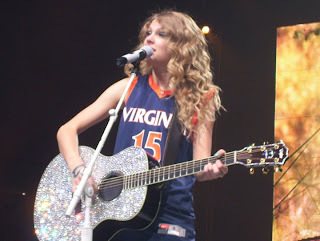 Bottom Line: If you love music, concerts and screaming at the top of your lungs when Taylor Swift shouts out UVa, then there is plenty for you to get excited about here in C-Ville! Independent Research doesn't have to involve flasks and beakers. Every department at the University has offerings for students willing--and wanting--to go the extra distance. By utilizing these opportunities, students can have hands-on experiences, lending to better understanding of the material. Also, some independent research courses give students an idea of what certain careers would be like. For example, I joined a research group in the Biology department, and I tell everyone who asks me about it the same thing: I've taken coursework labs and research labs and the difference is textbook French to visiting France. You will learn quicker and more thoroughly if you immerse yourself in a real situation rather than textbook scenarios. This is where I have spent many an hour working with Silene latifolia. 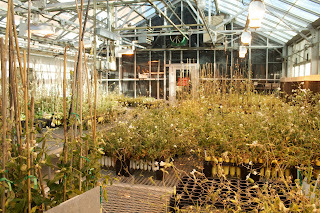 Some days it's exhilarating, and other days I need a break from seeing eight hundred plants. How Hard Is It To Get Involved? Anyone at UVa who wants participate in research can. It's as simple as that. I don't know a single person who has genuinely wanted to do research that hasn't found a mentor. That's actually one of the best parts about UVa: you can get involved in a professor's research or a graduate student's research. Having graduate students expands the opportunities at least ten fold. A friend of mine works on the effect nematodes have on bees. Pictured right is a worker on a flower. Anytime you want to. I know first years who joined labs, and I joined my second year. I will say this caveat, though. Don't wait too long. Being in research typically takes two semesters at least (one semester to train, one to two to design and work on your project), so don't wait until your final year to join. On many department directories, there's a link that says something to the effect of "Meet the Faculty." Click on that and read about what each professor is doing. 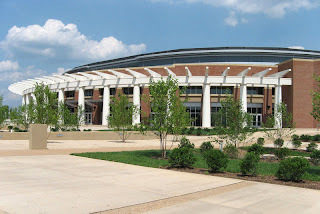 For example, if you go to http://www.virginia.edu/biology/directory/faculty.htm , you'll see a full list of biology professors and a short explanation on what each one researches. If you then click on the individual names, you can see a longer description of their work in addition to the lab's homepage. There, you can read about the projects happening within that lab. Here's the homepage for the lab I joined: http://people.virginia.edu/%7Edrt3b/index.php. 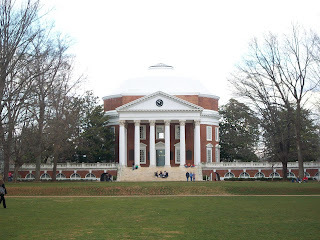 What Can I Do Before I Enroll in UVa? time, and the professor let me have a copy to follow along during class. So yes, visit the school, talk to the professors, take a class, interact with the students. It's the best litmus test a high school student has for determining how a college will be before attending it. Never be afraid to notice the unusual and ask why. Pictured left is a cluster of all white phlox flowers in my garden. My best guess is that there must be genetic co-dominance that allows some to be striped and others to be a solid color. I apologize for the slight jargon. I am a biology geek. Because the experience is one of the best you can have at U.Va. Every RA has his/her own reasons for being an RA and each one brings something different to the program. This is why I applied to be an RA: the dedication of the people. This relatively small group of people is so passionate about the work that makes me proud to put "Resident Advisor" on my resume. We are all such a diverse group, no matter where on-Grounds you are placed, the experience will be unforgettable. I've learned more about interacting with people and hosting events from being an RA than from any other experience here. The friends I've made will last me a lifetime and the skills learned will follow me into any and every profession I choose. Now, a little bit about my specific community. I am in the Russian House, which is on Ivy Rd., next to the International Residence College. The small house of 7 people (plus a professor and his wife in the separate, upstairs apartment) has made the residents a tight-knit group. We host a weekly event "Russian Tea and Conversation" where students and local residents meet to practice their Russian skills and learn more about Russian culture and each other. In addition, we host other events (both within the House and open to the community) to improve our language skills, start friendships, and learn more about each other. Having lived in the House for two years as the Resident Advisor, I've met many new people and learned more about myself than I thought was possible in such a short time period. The Russian House is the cherry on top of my U.Va. experience. In short, I hope everyone has the experience I've had here! And maybe I'll see more RA's in the future (maybe some who've read this post!). What have been your greatest memories (so far) during your time at U.Va.? These are just a small sampling of the many memories that I have made so far and I'm sure there are many more to come during the rest of my time here.